In a recent work published on Nature Nanotechnology, we demonstrate a simple way to engineering water-based 2D material inks, which can be used to fabricate all inkjet printed heterostructure-based devices. 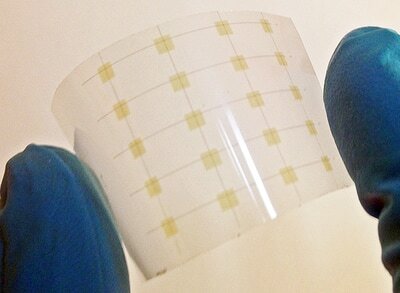 Examples include arrays of light detectors printed on silicon, plastic and paper, and logic memories (ie. 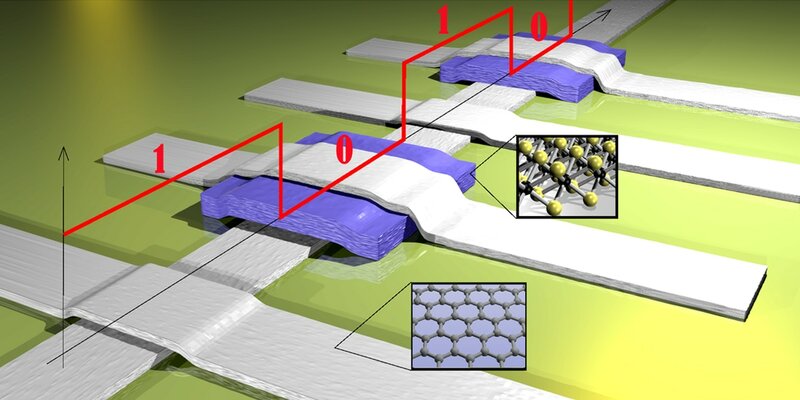 devices that can store information in form of binary code) completely made of 2D materials. For a view-only access to the paper, please click HERE. Graphene is well known for its unique electronic properties. Unfortunately, being gapless, this material is not suitable for use in transistors. Quantum confinement offers a simple way to open a gap in graphene, i.e. narrow strips of graphene (GNRs) can be used as channels in transistors. However, the electronic and optical properties of GNRs strongly depend on their width and on the precise arrangement of the atoms at the edges. Currently, "top-down" approaches do not allow producing highly structurally-defined and narrow GNRs suitable for electronics. The newly developed "bottom-up" methodologies developed by Prof Muellen and Dr Feng, based on Diels-Alder polymerization, allow unprecedented longitudinal extension of GNRs while preserving their high structural definition.Different characterization techniques, including Raman spectroscopy (led by Dr Casiraghi group), confirmed that GNRs are structurally well-defined and have excellent charge-carrier mobility. ​More info at: Narita et al, Nature Chemistry asap. 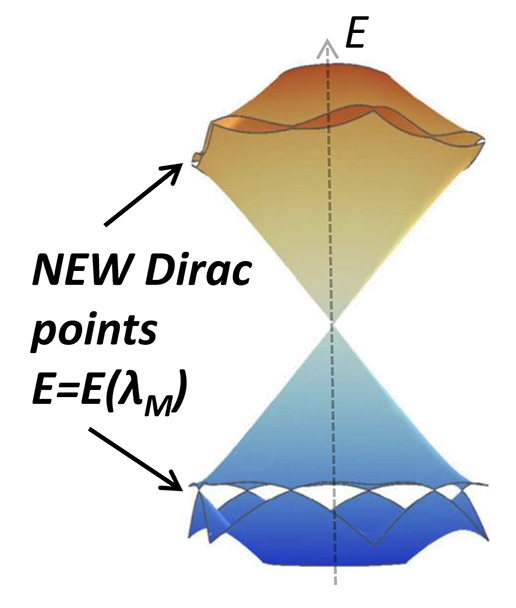 The superposition of graphene on h-BN leads to a strong reconstruction of graphene’s electronic spectrum with new Dirac points emerging at sub-eV energies. This allow designing of novel optical and opto-electronic devices with tunable properties. Therefore, it is essential to have a simple and fast technique able to fully characterize those structures. In this work we observed a characteristic broadening of the 2D peak of graphene/h-BN superlattices at mismatch angles below 2°. This allows high-throughput and nondestructive identification of aligned graphene/h-BN superlattices, making Raman spectroscopy a powerful tool in the fabrication of graphene superlattices based-devices. In this work we use a chemical approach based on supra-molecular and non-covalent interactions between graphene and 1-pyrenesulfonic acid sodium salt (Py–1SO3) to obtain a stable dispersion of graphene by using only water as solvent. An extensive Raman analysis shows that we have ~70% few-graphene layers (< 7). We also show that the exfoliation efficiency strongly depends on the number of functional groups by comparing suspensions obtained by Py–1SO3 and 1,3,6,8-pyrenetetrasulfonic acid (Py–4SO3). A strong decrease in the exfoliation yield has been observed by using pyrene with 4 sulphonic groups (Py–4SO3), as compared to one sulphonic group (Py–1SO3). Being completely water-based, these suspensions can be used as inks for printable tattoo-based electro-chemical sensors. We studied the interaction between the top and bottom layer of a chemically functionalized graphene bilayer by mild oxygen plasma. We found that single- and double-sided chemical functionalization give very different results: single-sided modified bilayer shows relatively high mobility (200-600 cm2 V-1 s-1 at room temperature) and a stable structure with limited amount of defects. Double-sided chemical functionalization leads to a material similar to graphene oxide. This opens the possibility to use plasma treatment not only for etching and patterning of graphene, but also to make heterostructures (through single-sided modification of bilayer) for sensors and transistors and new graphene-derivatives materials (through double-sided modification). For example, we report covalent attachment of DNA on single-sided functionalized bilayer. Raman spectroscopy has been widely used to study defects in graphitic materials. However, little is know about the dependence of the defects-activated Raman peaks and the nature of defects. 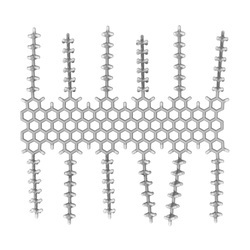 The 2D nature of graphene makes it easy to add, remove or move carbon atoms, i.e. 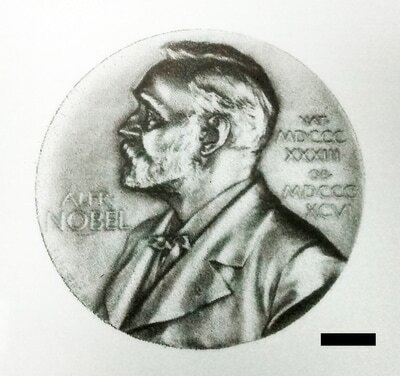 to control the type and the amount of defects introduced, in contrast to graphite and carbon nanotubes. In this work we show a detailed analysis of the Raman spectrum of graphene containing different type of defects (sp3 sites, vacancies, grain boundaries). We show that at moderate defect concentration the intensity ratio between the D and D' peak is sensitive only to the nature of the defects. do not alter the AB-stacking configuration and no strong dependece of the Gruneisen parameter with the number of layers has been observed. curvature of the bubble by electrostatic interaction produced by an external electric field. Graphene-based lenses have high transmittance throughout the visible range, they are light, robust and require low operating voltage. A new solvent-free method, based on the anodic effect, allows depositing a large yield of graphene flakes on a glass substrate. Under optimum deposition parameters,several tens of graphene flakes with average lateral size of 30 um can be deposited. Few flakes with larger size can be obtained. The flakes can be easily transferred to other substrates. Both Raman Spectroscopy and transport show that the quality of the graphene flakes produced by anodic bonding is comparable with the quality of mechanically exfoliated graphene.